Facebook has just updated its popular iOS app to add a new feature and fix a substantial issue for some users. First up, version 6.3 allows users to find verified celebrities, public figures, and brands, by looking for a blue check mark next to their names. The blue check mark is much like Twitter’s designation for verified accounts. Also, the iPad version of the app features improved places editing to fix categories, phone numbers, and other info. Finally, the update fixes a problem that was causing the News Feed to load slowly for some users. 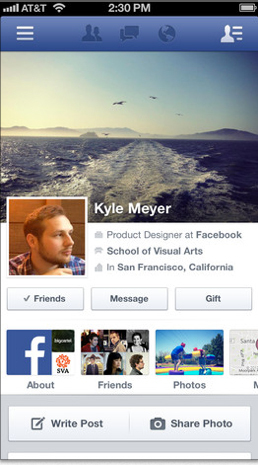 Facebook is a universal app designed for both the iPhone/iPod touch and iPad/iPad mini. It can be downloaded now in the App Store for free. Back in May, when Apple announced the 50 billionth app download from the App Store, Facebook topped the list of all-time free iPhone apps.